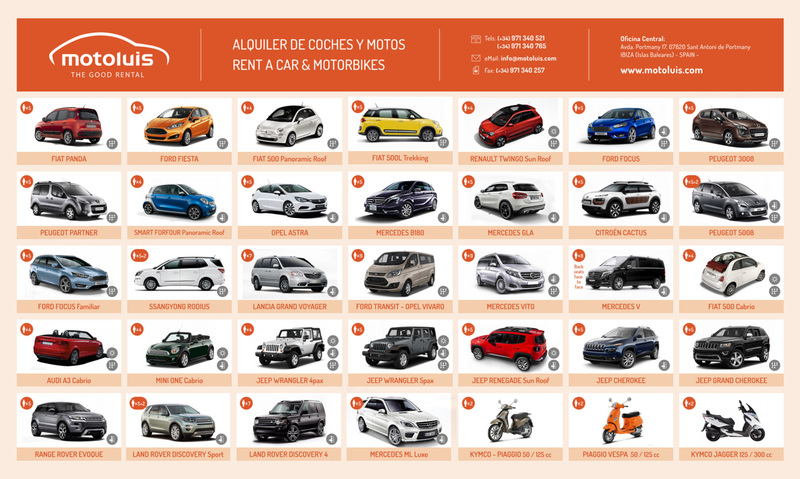 We would like to recommend to Ibiza Villas 2000 clients our Ibiza car hire partners; Moto Luis. Their business began in 1956, so unsurprisingly they are the longest established car hire company on the island. 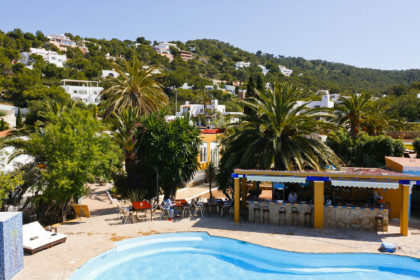 To this day they remain family run, focused on personal service, competitively priced and the quickest way to get your holiday off to a good start when you arrive on the island. Pay a small deposit and pay the rest when you collect the car, or pay in full at the time of booking – you choose! No queues at the rental desk at Ibiza Airport and no transfer buses. Meet and greet service just 50 metres from the arrivals area. Your car will be waiting in the car park. No hidden extra costs for insurance. Premium cars such as jeeps and convertibles also available. To get a car hire quote please use the online form on top of this page. Alternatively call 0034 971 340 765 and tell them you are an Ibiza Villas 2000 client to ensure the best service and the best prices.